​Mr. Lockwood was born and raised in the Village of Laguna. His parents were Tony and Rose Lockwood. He attended St. Joseph School in 1972/73, continued at Laguna Elementary and finished at Santa Fe Indian School. Lester is married to Ellena (Leon) and together they have 9 children and 13 grandchildren. 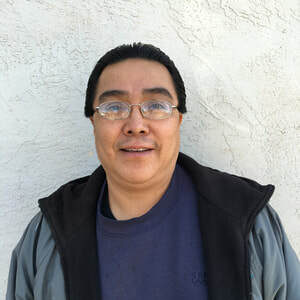 Lester has worked in food service for over 30 years, and is currently our Custodian/Maintenance Person. His hobbies include spending time with his family, going out dancing with his wife, fixing things, listening to music and watching movies. Lester says that working here at St. Joseph Mission School gives him a sense of pride and harmony within himself. He also believes the education children receive here is excellent and that teachers and staff do all that they can to make it a fun and happy place to learn.